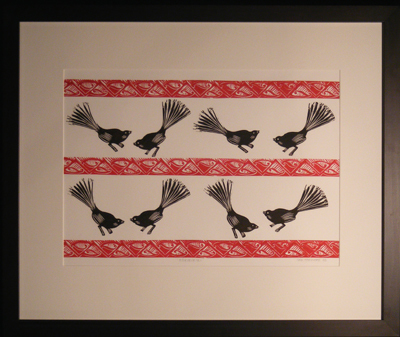 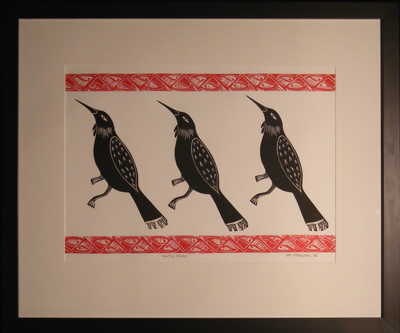 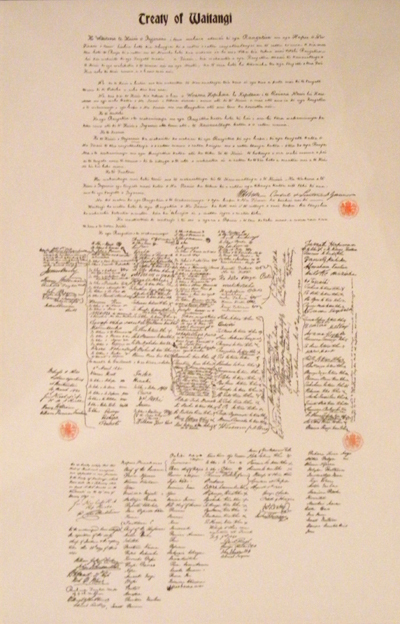 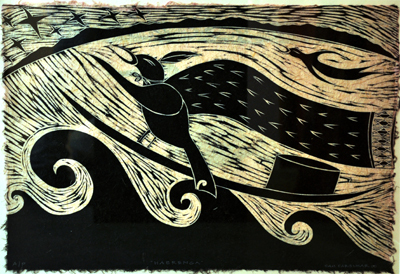 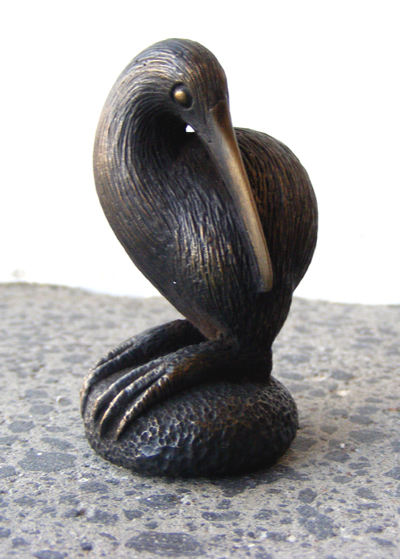 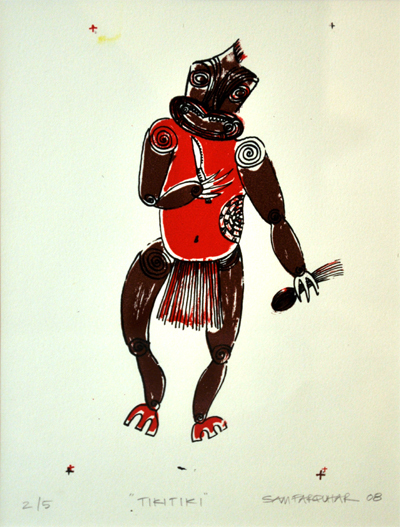 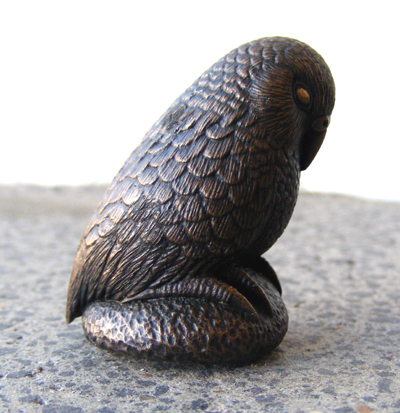 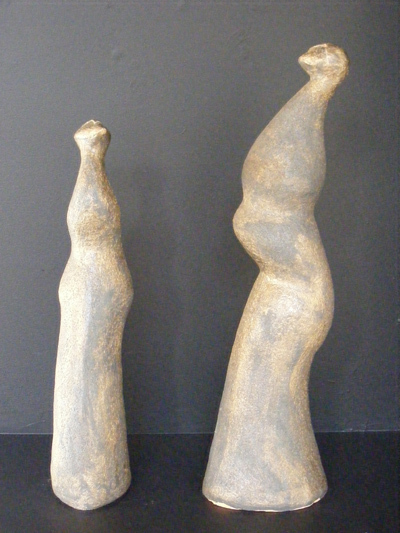 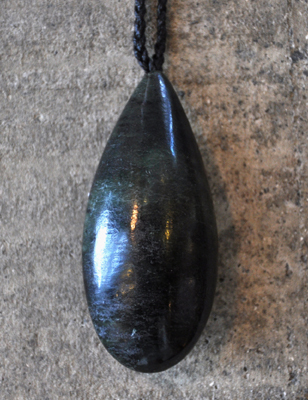 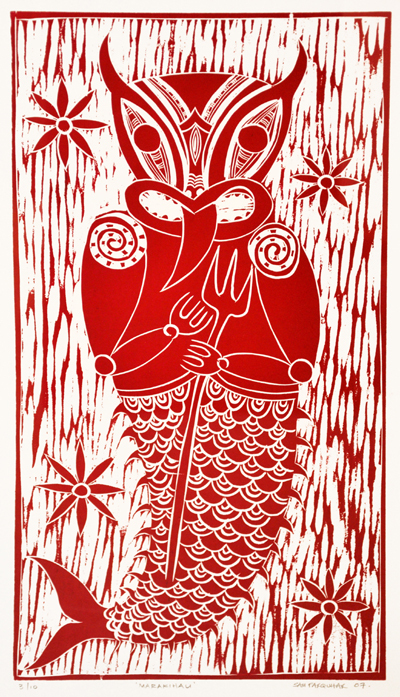 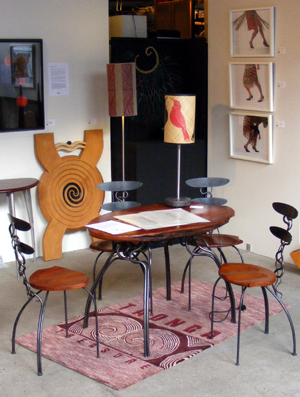 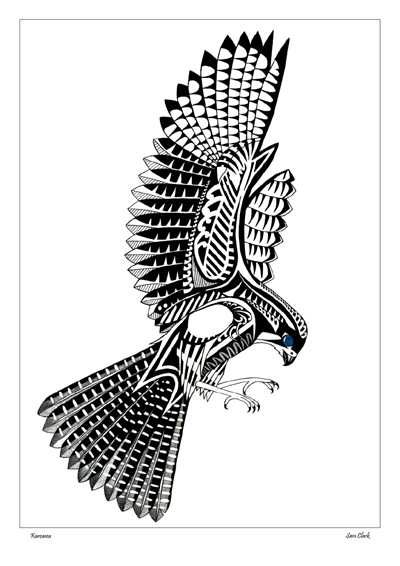 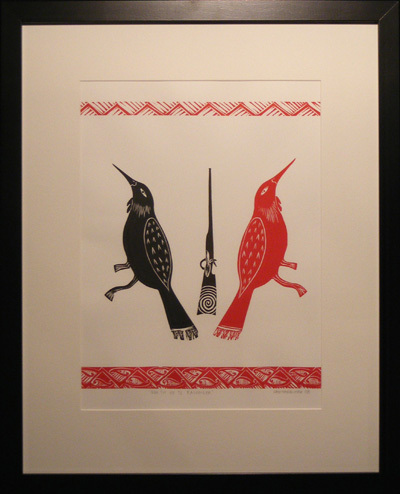 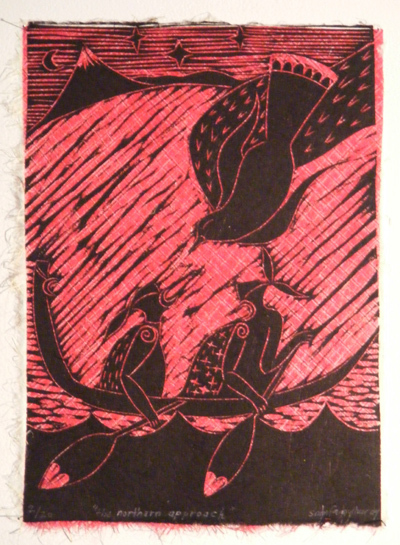 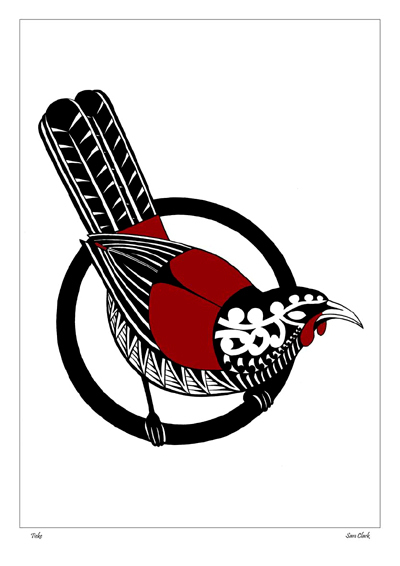 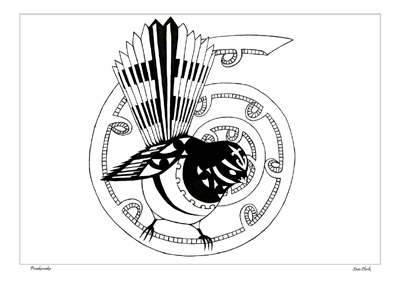 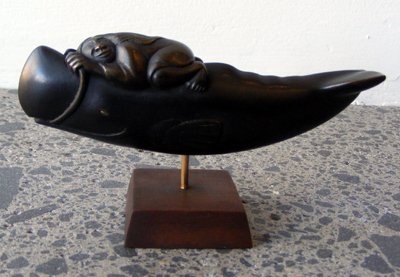 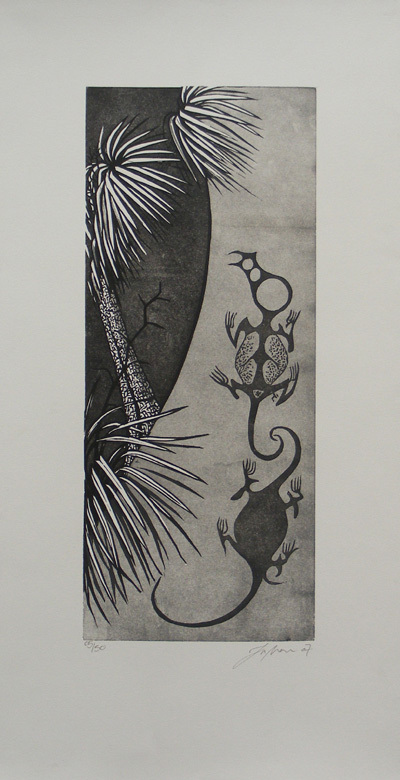 Kura Gallery – Page 5 – Kura Gallery: Maori and New Zealand Art + Design. 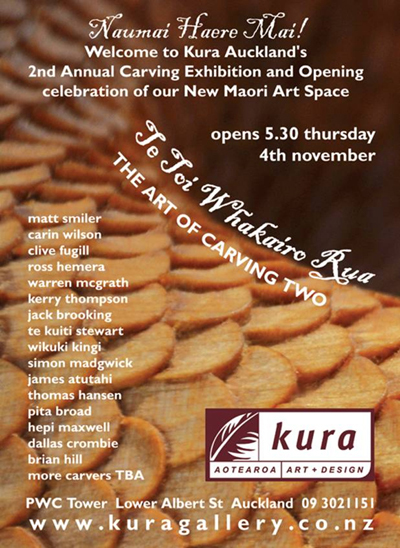 Te Akau Maori Art Space Officially Open at Kura Gallery with our 2nd Annual Carving Exhibition – Te Toi Whakairo Rua – The Art of Carving Two! 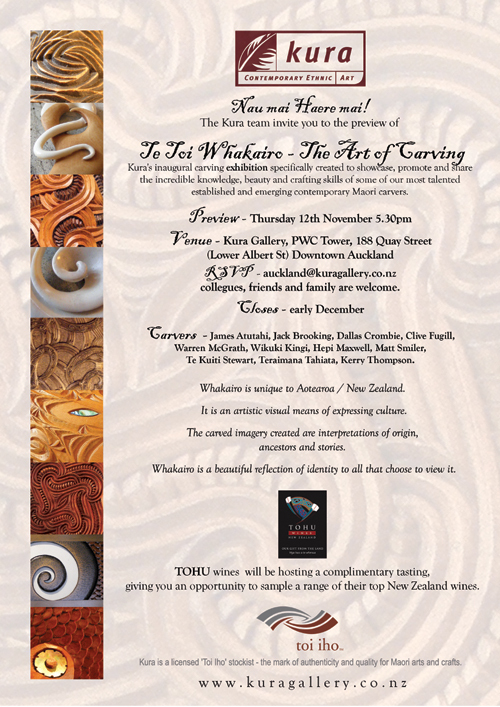 Lyonel Grant – Invited Guest Carver To Kura’s 2nd Annual Carving Exhibition Te Toi Whakairo Rua and the Official Opening of our New Maori Art Space Te Akau! 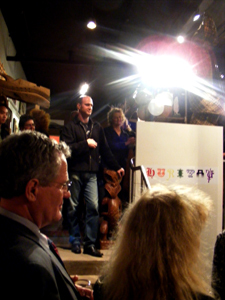 Patrick James & Annabelle Buick Exhibition August 2010 Kura Auckland! 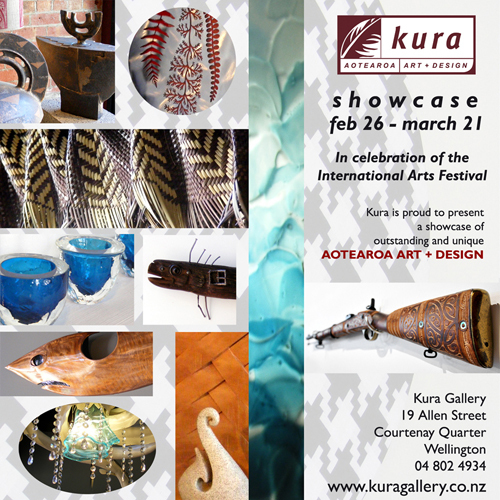 SHOWCASE – Kura Auckland! 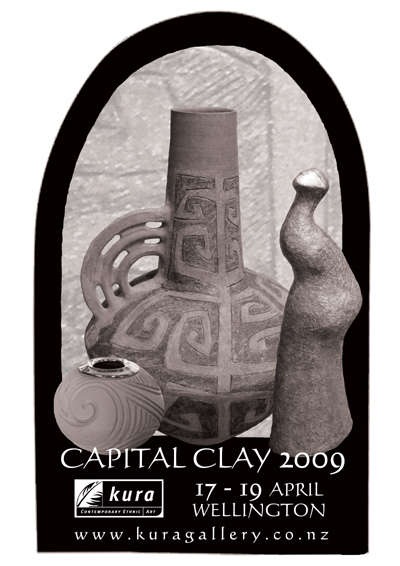 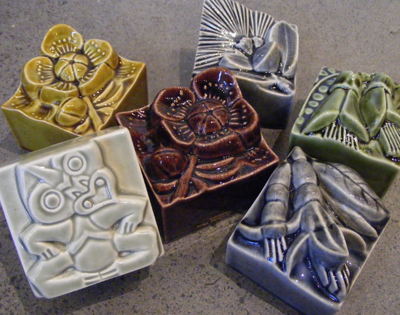 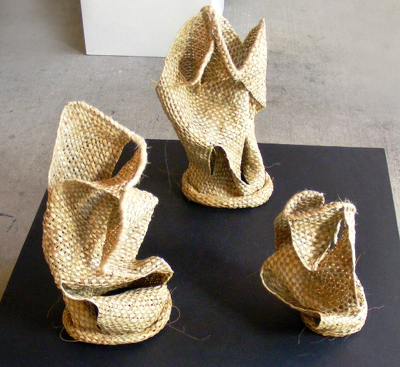 Paerau Corneal, Annabelle Buick, Jess Paraone and Stuart Tume – Clay, Multimedia, Weaving & Painting. 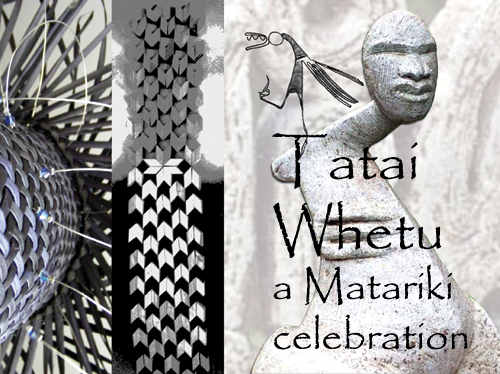 Tatai Whetu – a Matariki celebration – KURA WELLINGTON! 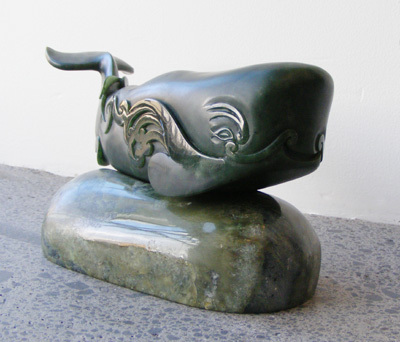 Nau mai haere mai to stunning New Maori Artspace – Kura Auckland! 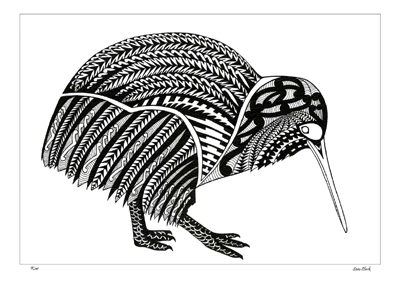 New Maori Art Space Opening Soon at Kura Auckland!! 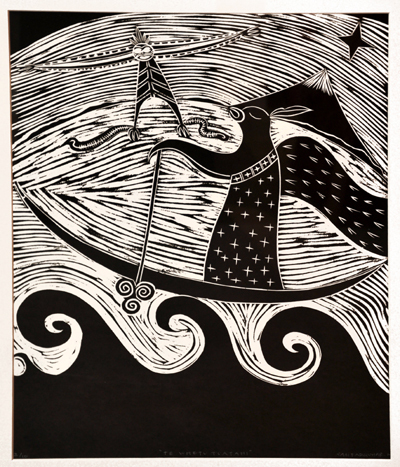 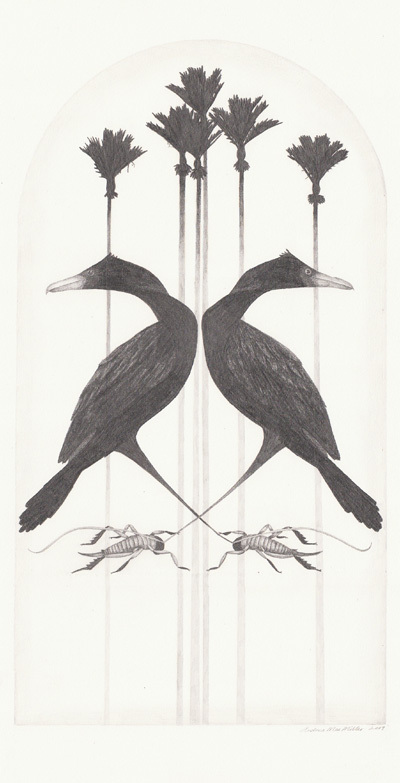 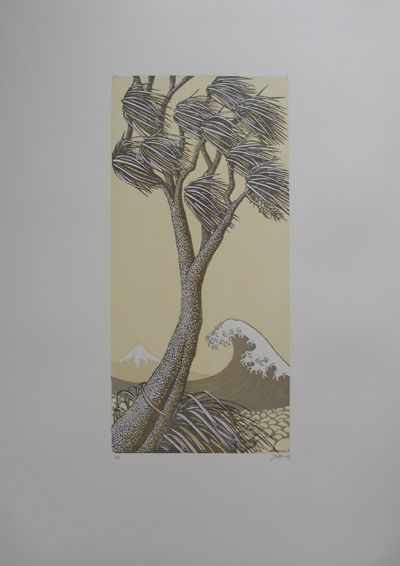 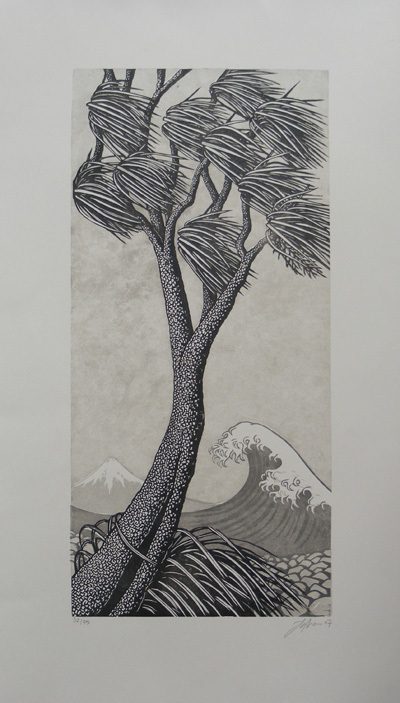 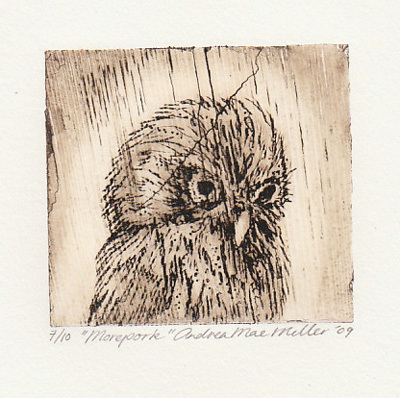 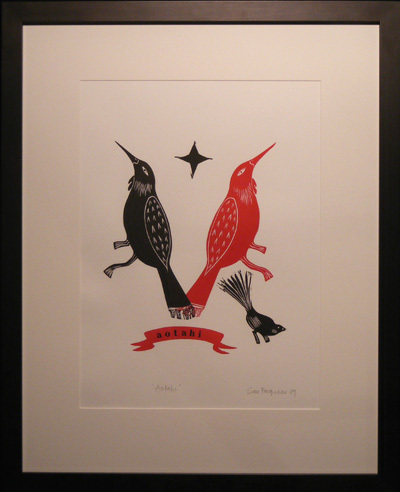 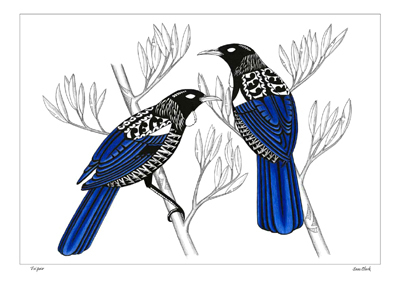 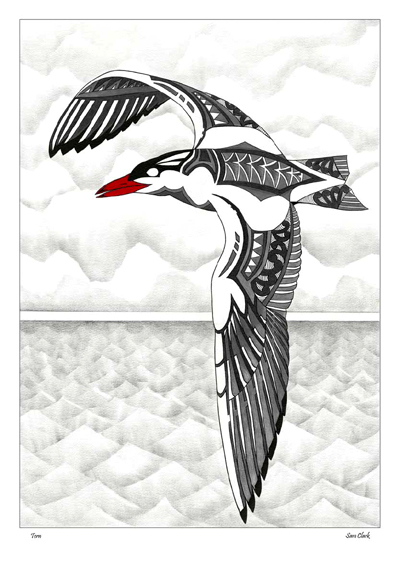 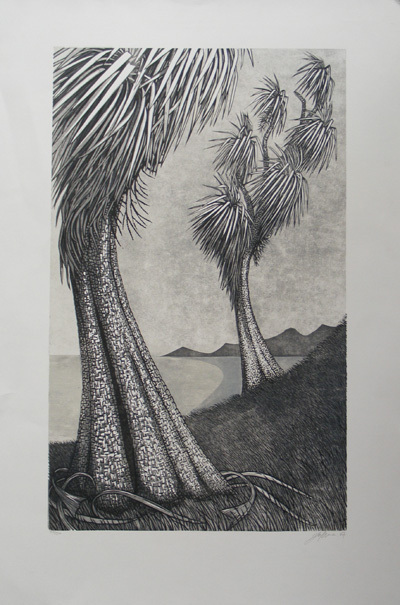 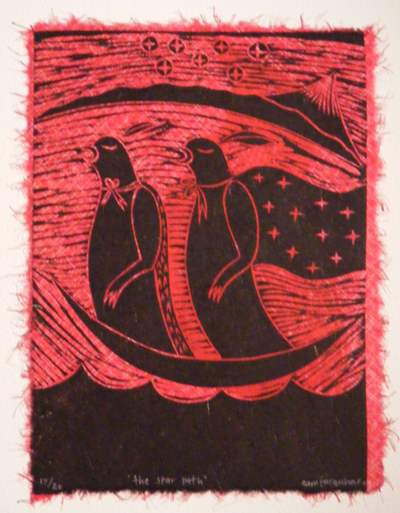 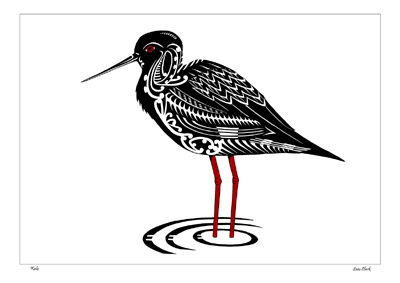 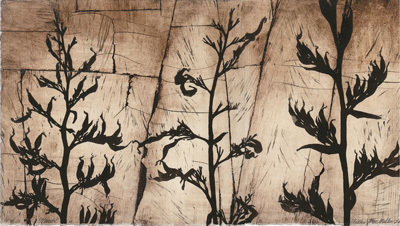 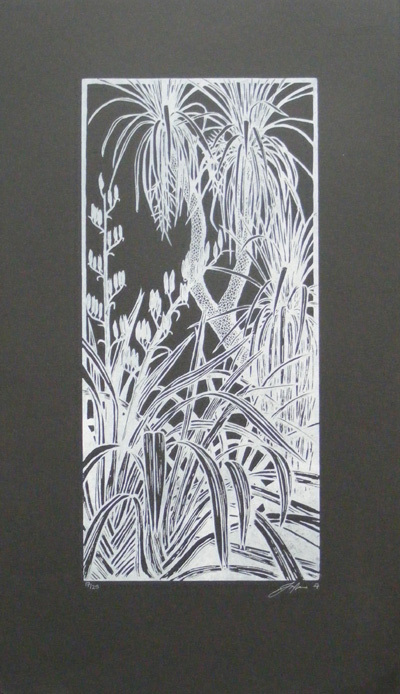 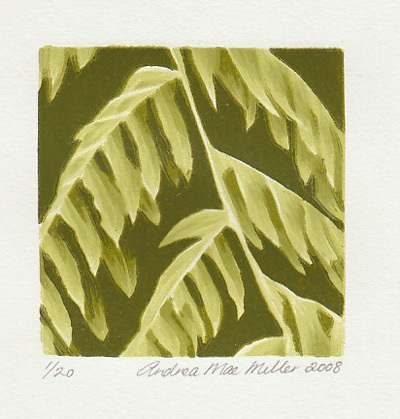 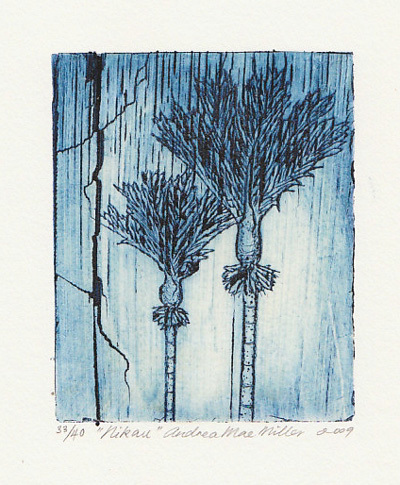 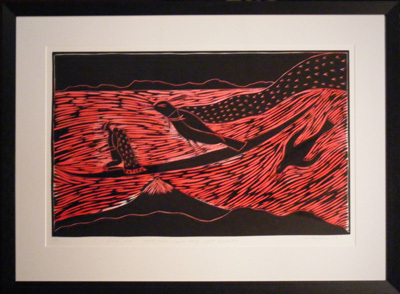 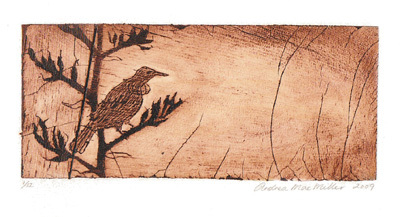 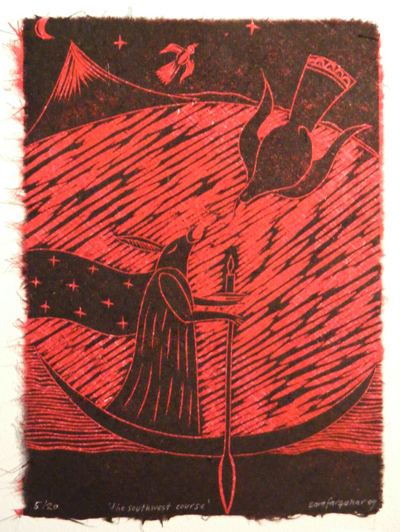 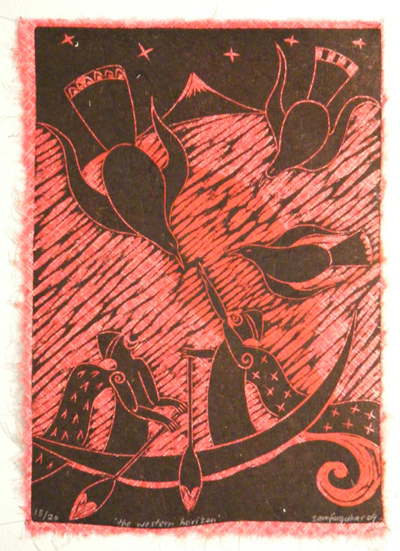 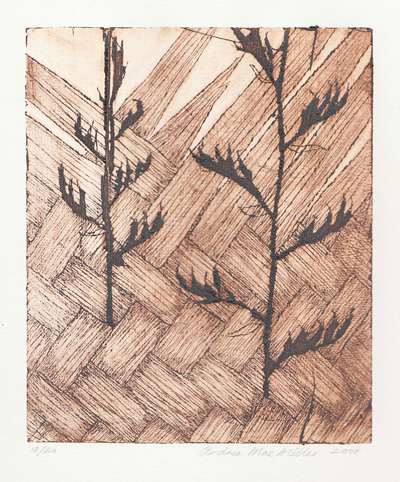 Kura Auckland welcome’s printmaker Gabrielle Belz! 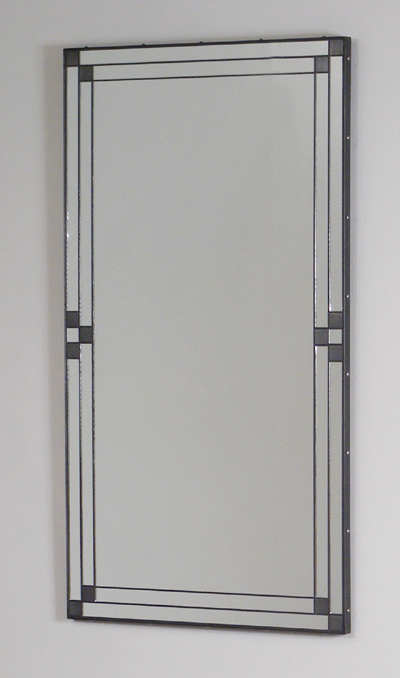 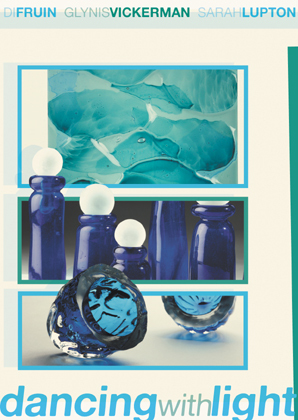 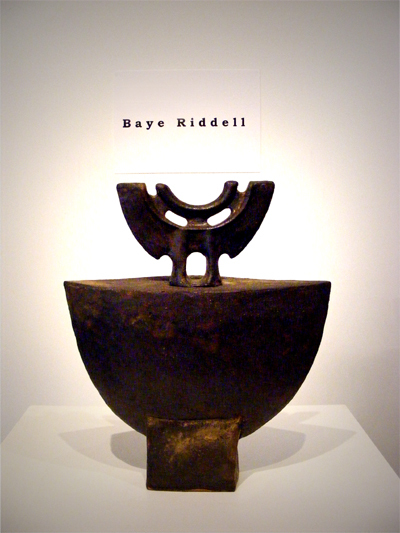 A SHOWCASE of Gabrielle’s work can be viewed from Monday March 8 – April 6. 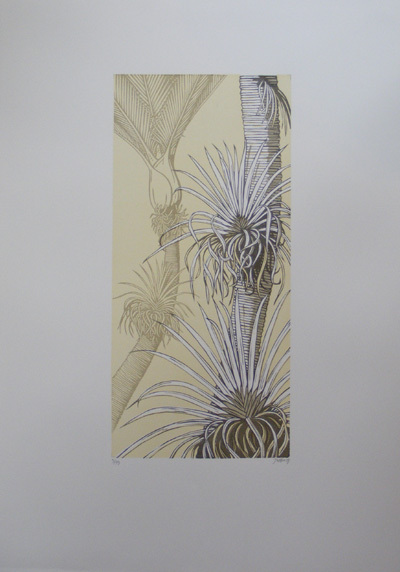 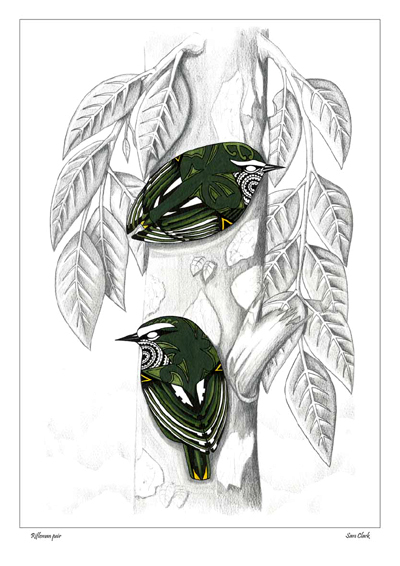 SHOWCASE – Kura Auckland – Prints by Gabrielle Belz! 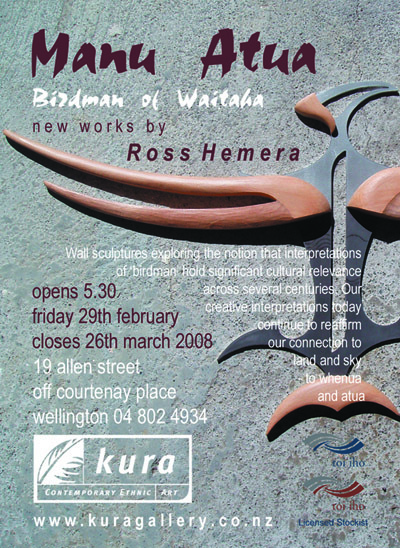 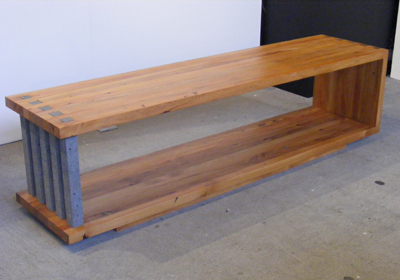 SHOWCASE – Kura Wellington – In Celebration of the International Arts Festival! 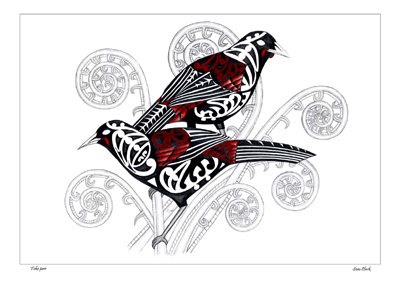 Kura Welcomes New Artist – Phil Mokaraka Berry! 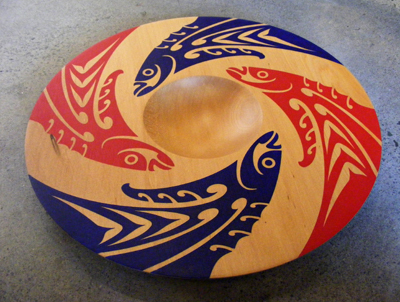 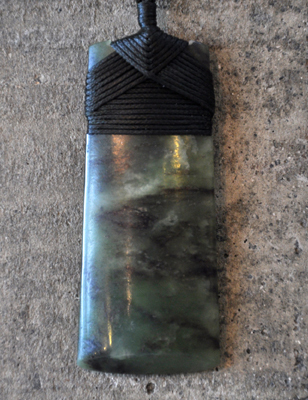 Kura Welcomes New Carver – Teraimana Tahiata! 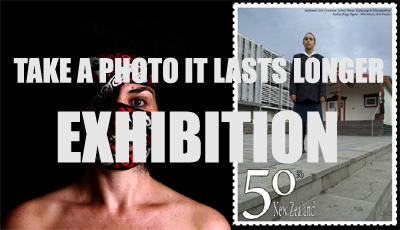 Celebrating Emerging Maori Talent – Kura Auckland Exhibition! 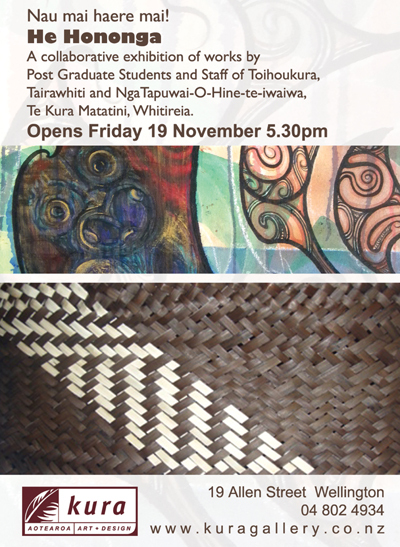 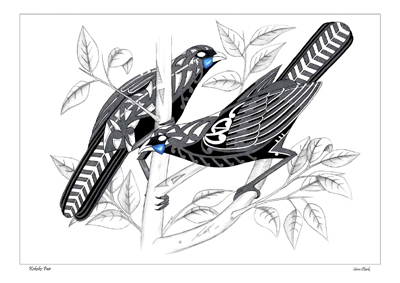 Kura Exhibition Celebrates Emerging Maori Talent! 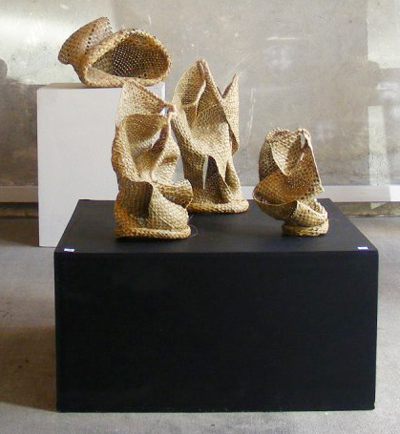 Introducing Maori Fibre Artist Shona Tawhiao! 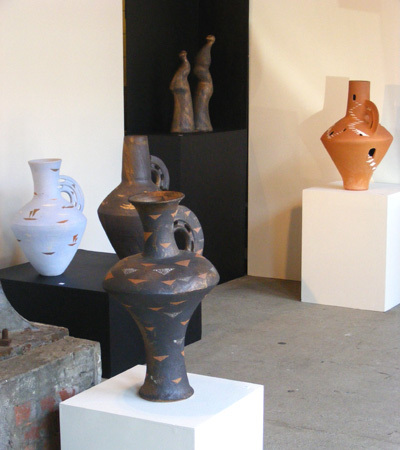 Matt Smiler – carving a path to international success! 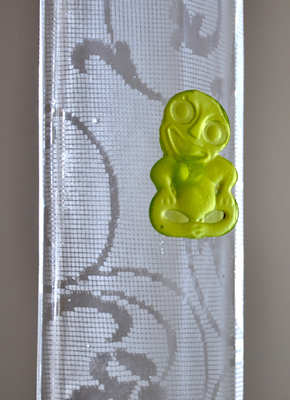 Kura Celebrates it’s 10th Birthday! 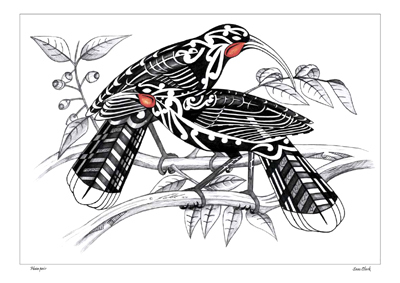 Kura has a new look website!